There are FOUR calendars. Please scroll down to see them all. I avoid booking reservations that leave a 1-2 night gap in my calendar. I must book my guests back to back, or leave at least 3 nights between reservations. If your requested dates leave a 1 or 2 night gap with an existing reservation, I may not be able to accept your reservation. Monday, Tuesday, Wednesday, and Thursday nights are Weekday Nights. Friday, Saturday, and Sunday are Weekend Nights. 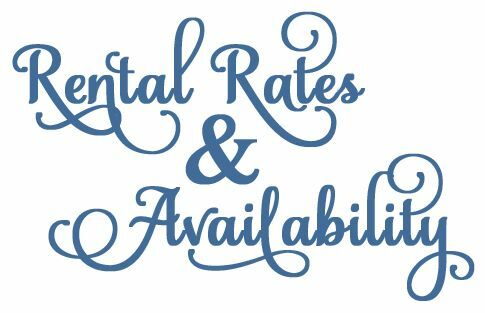 Your rental total will be your calculated rent, plus a cleaning fee, plus 11.5% tax. A $250 Refundable Damage Deposit is required to reserve ALL rentals. More details: To book this property you will need to contact me to make sure I don't have another contract in progress on your specified dates. I will email you a contract and give you 7 days to return it along with the deposit. The deposit holds your reservation until your rent is due, one month prior to your arrival. The $250 deposit is returned promptly upon a tidy check-out. I take check, Venmo, and PayPal. Credit cards will cost you extra.